Serena Williams says it is "hard to imagine life without tennis" and her determination to win grand slam titles remains as strong as ever. 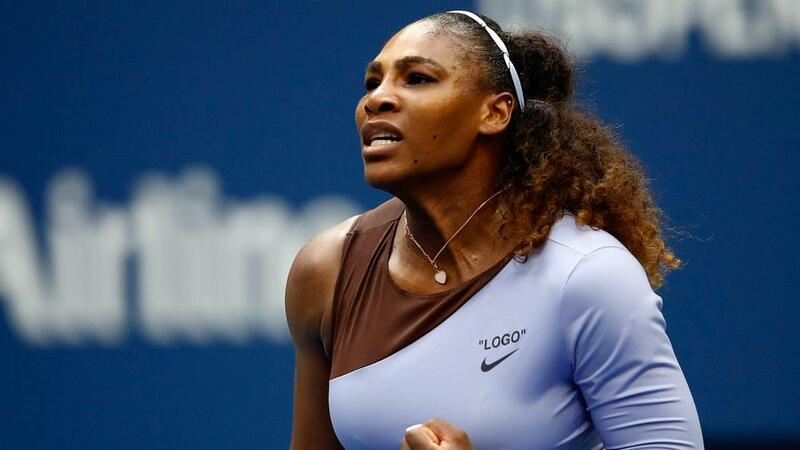 Williams moved a step closer to equalling Margaret Court's record of 24 slam singles crowns when she defeated Kaia Kanepi in three entertaining sets in round four of the US Open. Already a Wimbledon finalist this year on her return from giving birth to her first child, Williams, who turns 37 later this month, was asked about her impressive longevity during a post-match news conference. "I think it's great. I never thought I would have been playing this long," she replied. "Now I think about it and it's hard to imagine life without tennis. It's just weird. When you're young, you're at a different mindset than when you get older." It has been suggested that a 24th slam title would mean more to Williams now that she is a mother, yet she insists it would have been impossible for her motivation to increase. "I don't think I want to win more," she explained. "I don't think my desire to win could have been more five years ago or today. That desire has not gone down at all. And I don't think it was capable of going up, because if it was out of 10, I was at a 15 or a 20, and I'm still there. "I think I spoke to the fact that I'm surprised that it hasn't come down to a 10. It's still remained at that incredibly high level to compete and to want to win. "It would be wonderful to win a grand slam while having a daughter, but it's a lot of work. It takes a lot of work to win those tournaments. "I'm only in my third one back. I'm going to continue to grind and see what happens." Williams will face Karolina Pliskova in the quarter-finals on Tuesday. The Czech is the last person to have beaten Serena in the US Open, having triumphed when they met in 2016.